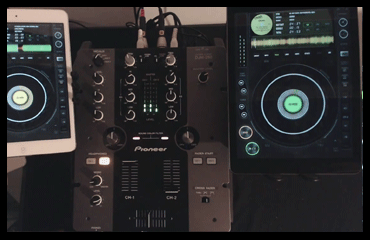 ﻿ E-DJ transforms your IPad into a powerful DJ system. 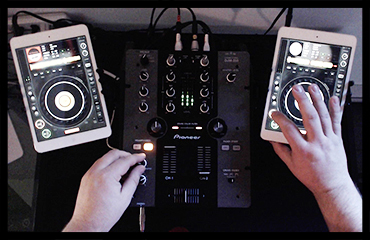 Electronic-DJ transforms your Ipad into a full–featured and complete DJ system. EDJ was created for both professional DJ or beginners who just love to play music with something more powerful than a simple player. With the powerful screen of EDJ, you can manage your library, your current playlist, visualize or prepare your track with loops or jumps. Many options are available for the best mix ever. You have the absolute control of your track. With CDJ or vinyl mode, you can set your cue whenever you want. During the mix you can pitch by using the buttons or the jog for the perfect beatmatching. Smart playing, cueing, reverse and lock. EDJ comes with the best features for your mixes. EDJ provides a complete collection of tools for BPM Detection. Auto or manual, you can choose which is best for you. What will you find on EDJ? 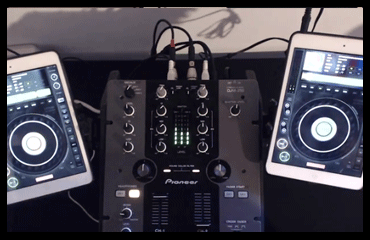 On EDJ you will find a full set of controls to help you to reach your goal : the perfect mix. With queue list, managing your current playlist for your mixes becomes easy. Combined with the library upgrade, you'll get an iTunes playlist back in one shot. This control provides all the information required about your track during the mix. Basic information or waveform visualization, everything you need is here. How do you prefer to beatmatch during your mix? With the pitch bend button or with the jog like a vinyl? Both are available, it's up to you. 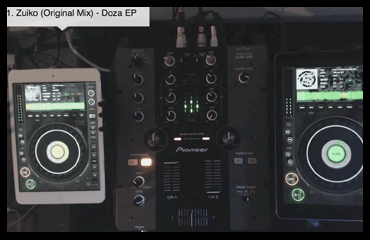 CDJ mode is here for a perfect cue search and stutter function. Not comfortable with the CDJ mode? Vinyl mode is ready for you! Use special effects to embellish your mix. EDJ first performs a quick tempo detection. You'll then be able to manage your tempo with more precision. To add effects, one option is to reverse the playing direction. worried about making a huge mistake during a set? with this feature you can lock all the edj controls to avoid errors. Backup on cloud or transfer all of your track's setting between EDJ's devise. A full visualization of the sound is available. Need help understanding some of the features of EDJ? Consult the free help section to find your answers. With the loop management upgrade, you’ll be able to get more time during your mixes, and you’ll be able to save your settings untill your next mix. With the jump management upgrade, you’ll be able to remove a part of a track, and save it to be used in another set. 1 hour house mix with the 1.6.3 Version. 1 hour house mix with the 1.2.18 Version. 1 hour house mix with the 1.1.29 Version. ©2014 8 Beats softwares Inc. All rights reserved.